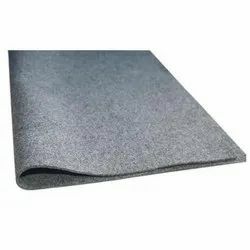 We are offering wide range of Woven Geotextile Fabric. Water bodies are continually changing or eroding the shorelines as well underwater structures because of hurricane, tropical storm, Tsunami, High low Tides etc. Eco-friendly structures are today the preferred choice in mitigating these forces that act against coastal habitat. With appropriate design and careful selection of coastal protection measures, the coastal erosion can be controlled to an acceptable limit or even reversed without transferring the problem to others areas with the use of our Geosynthetic Products. 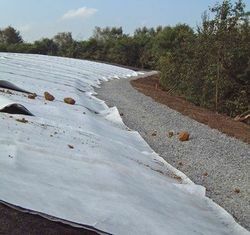 We have established ourselves as a renowned manufacturer, supplier and exporter of high quality Geotextile. All our products are manufactured using latest machines & equipment following industry standards & norms. Superior quality material that is sourced from most trusted and reliable vendors of market is used in the manufacturing process. We can customize these products as per clients' requirements. 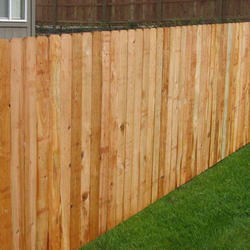 We do high end Wood Fence , we do turn key solutions. The wood used are high quality wood which is all weather proof . Galvanized Fence is widely demanded in various industries such as agriculture, aquaculture, construction, mining etc. 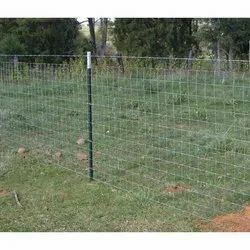 A Chain link fence (also referred to as wire netting, wire mesh fence, chain-wire fence, or diamond-mesh fence is a type woven fence. The wire runs vertically and is bent into a zig-zag pattern so that each¿¿ hook with the wire immediately on one side and each with the wire immediately on the other. Looking for Woven Geotextile Fabric ?